The Independence in downtown Santa Monica. 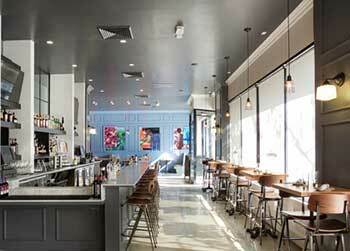 Book a seat at The Independence, Santa Monica’s new hotspot for eclectic, well executed food and cocktails. The L.A. Metro isn’t the first train to conceive of riding the rails from downtown Los Angeles to the sea. 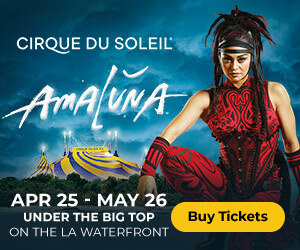 The steam-powered Los Angeles and Independence Railroad chugged along tracks from 5th and San Pedro St. downtown to the Santa Monica Pier from 1875-77. The forthcoming Expo Line will follow a similar route as well. More deliciously, however, you can now book at seat at The Independence, namesake to the railway and Santa Monica’s new hotspot for eclectic, well executed food and cocktails. Chef Tom Block (BLT Steak, Allen & Delancy, Beelman’s Pub) commands the kitchen and serves up fare for lunch and dinner that includes specialties like shellfish stew with clams, mussels, chili, tomato and lime; chicken wings with salsa verde; roasted mushrooms with 62 degree egg and yuzu kosho hollandaise; and dry aged rib eye with wild mushrooms, bordelaise sauce and celtuce; along with elevated sandwiches and more. Vincenzo Marianella (Copa d’Oro, Providence, Love & Salt) stirs up potions named after the train’s original stops like the LA Speedway with gin, dry fino sherry, marsala, orange bitters. 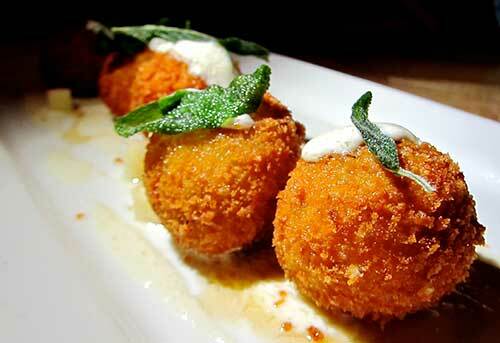 Light and savory butternut squash arancini served over a sweet taleggio fondue accented with honey. 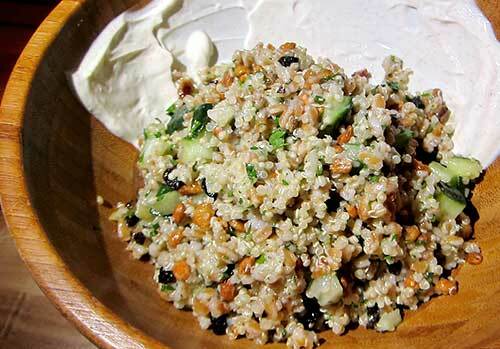 Toothy faro and quinoa salad with cucumber, currants, candied pine nuts, yoghurt, mint and parsley. Perfect to share at dinner or dig into alone at lunch. 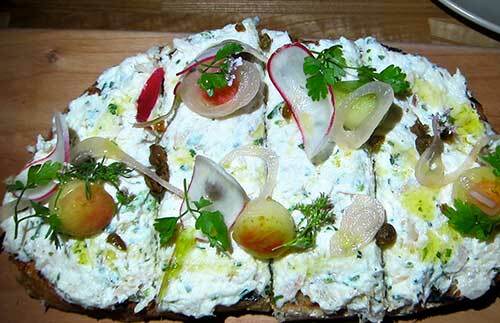 Smoked whitefish toast. There are a few popping up around the city. This one stands out with tangy pickled shallots and apple. 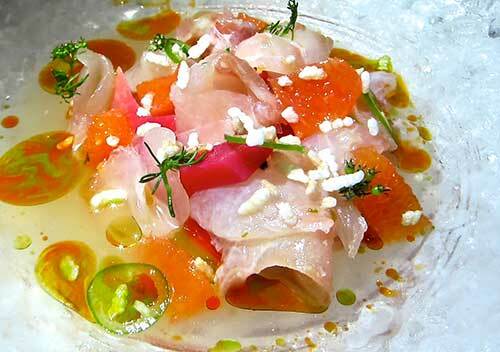 Tai snapper crudo with beets, Murcott tangerine, serrano chile and lime. 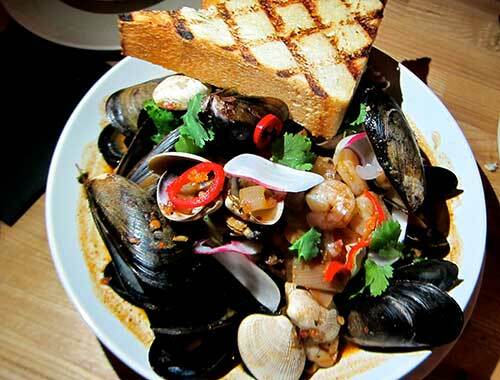 Chef Block’s take on a traditional shellfish stew with a not-so-traditional broth built on ancho chile. 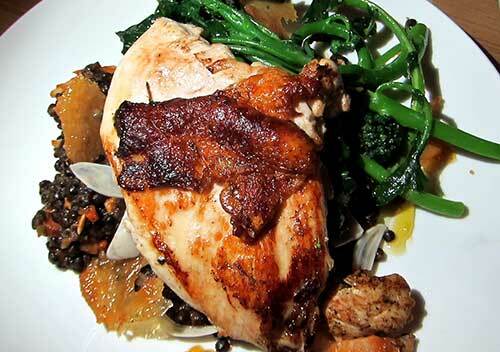 Perfectly roasted chicken breast and leg confit with beluga lentils, guanciale and broccoli di ciccio.